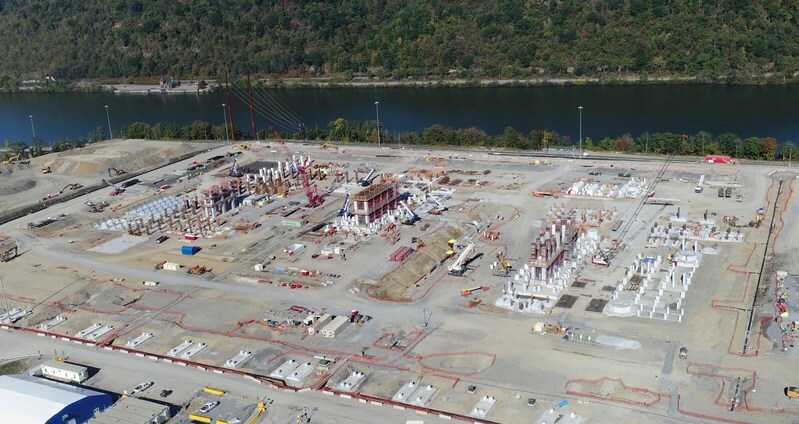 Royal Dutch Shell’s subsidiary Shell Chemical Appalachia has started the main construction phase of its new petrochemicals complex in Potter Township in the US state of Pennsylvania. The petrochemicals complex is expected to have an annual production of 1.6 million tons of polyethylene through the processing of low-cost ethane procured from shale gas producers in the Marcellus and Utica basins. Commercial production from the complex is anticipated to start early next decade. Shell says that it will now move ahead with the construction of four processing units that include an ethane cracker and three polyethylene units. The ethane cracker which is designed to have nearly average capacity of 3.3 billion pounds of ethylene per year will be the largest part of the petrochemicals complex with over 200 major components and 153km of pipe. The three polyethylene units have been designed to have a combined production capacity of about 3.5 billion pounds per year. A 274m long cooling tower, a water treatment plant, rail and truck loading facilities, a laboratory and an office building will also be constructed by Shell at the site. The petrochemicals complex will also house a 250MW natural gas-fired power plant, which will generate the electricity and steam needed for its operations. Nearly a third of the generated power will be supplied to the local electricity grid as well. According to Shell, the project, which is being built on the banks of the Ohio River in Pittsburgh, will create 6,000 construction-related jobs and about 600 permanent roles once it is completed. Shell says that the early works program carried out to make the site ready for the main construction to begin has been an important project. It involved relocating a state highway, constructing bridges, improving available interchanges, repositioning a rail line, and making foundations ready for the new petrochemicals complex. Shell global chemicals business executive vice president Graham van't Hoff said: “The preparation phase went well and our focus is now on ensuring first-class construction. A final investment decision for the project was taken by Shell in June 2016. Image: An under-constructed Shell's Petrochemical complex in Potter Township. Photo: courtesy of Royal Dutch Shell plc.